There’s certainly no absence of gear and toys now aimed at streaming and broadcasting, a market that now covers everything from podcasting to game streaming. But most of that has focused on video, and ignored sound. And strangely enough, while there are all kind of floor booms, boom mics and shocks that sit next to you aren’t as easy to find as you might hope. These have tended to target the old “broadcast” market – and so, if you walk into a radio station, you’ll see all kinds of solutions. In studios, not so much. Blue Microphones have been really clever about straddling the line between what had been thought of as the “pro” and “consumer” market – distinctions that sound a bit quaint now. But whether or not you buy into their line of mics, this universal boom looks intriguing. It’s called Compass, referring to its 360-degree movement. The basic idea: make the boom attach to your desk, then have a 360 degree swivel so you can get it in a comfortable position when you need it – without that swiveling making sound. 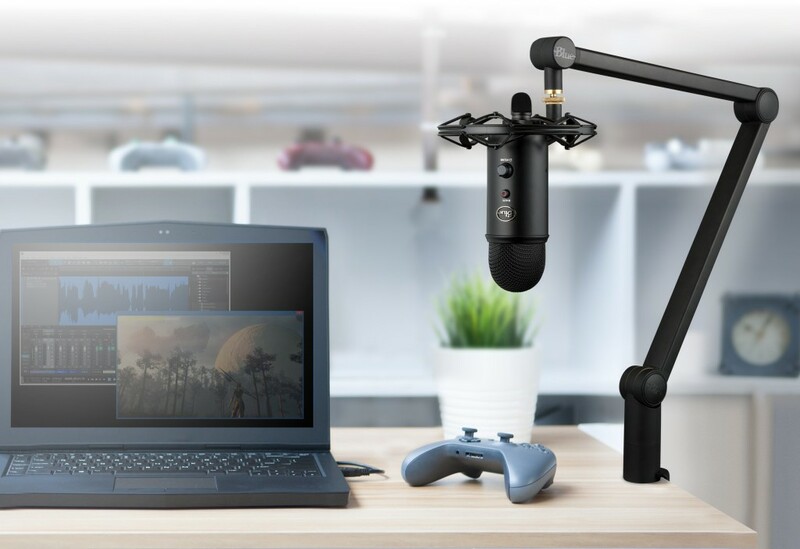 The boom/stand is $99.99 on its own, and it works with any number of heavy mics – you’ll need to bring your own shockmount. 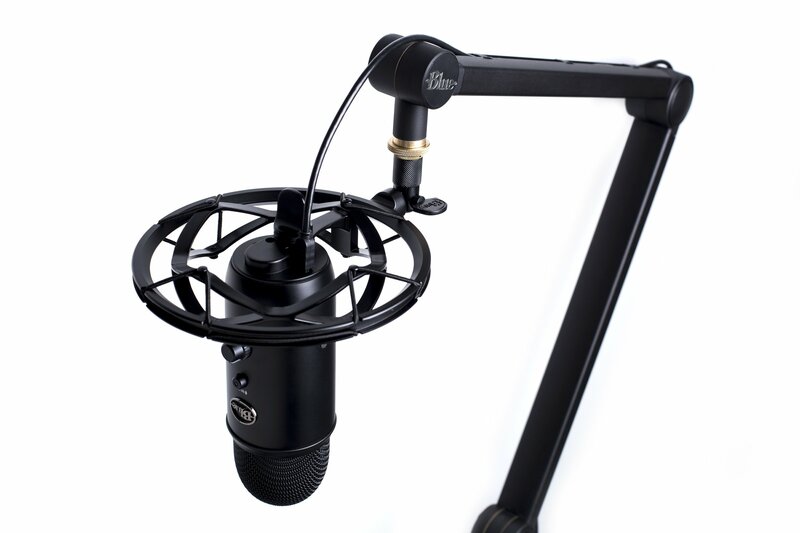 Or there’s the US$199.99 bundle of the Radius III shockmount, the Compass boom, and a Blue Yeti mic. I’ll try to get one in for test. Two mic stands seem popular with readers. One is the K&M KM 23850. This is the one I’ve actually seen in studios. But while K&M are a great brand, there are caveats. One, its reach is shorter – 19″ versus 32″ on Blue’s option. Second, it’s a little over 50% more expensive than the Blue. And lastly – maybe the deal killer – its weight capacity maxes out at 1.76 lbs versus the Blue’s 2.4 lbs. That rules out use with some classic microphones. The other, the Rode PSA1, is spec-for-spec almost identical to the Blue = 32″ reach, 2.4 lbs load capacity, and $99 price. Versus both these offerings, Blue has put the cable management inside and made the springs internal. What I want to test is whether this is then quieter. Got other studio options? Let us know!